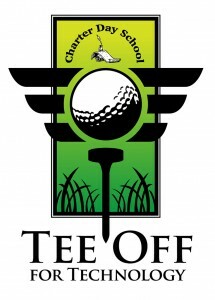 Please join us for Charter Day School’s second annual Tee Off for Technology golf tournament. Support a great school and get your business name out there by becoming a sponsor. Fire up a round of golf, enjoy lunch and a great dinner and maybe even WIN $100,000! Turkey and swiss on wheat bread with lettuce and tomato, served with chips, Ham and swiss on wheat bread, served with chips, free beverages. Golf Outing Dinner: Western Cook Out – Grilled Chicken Breast-fired roasted tomato & onion salsa, braised beef short ribs with potato hash & ranchero sauce, chayote and cucumber salad, roasted root vegetables, Texas style rice & black beans with chorizo, crispy apple dumplings with honey glaze, lemon pie with meringue. FUN: 18 Holes of great golf at Cape Fear National, compete in golf games at different holes, chance to win $100,000 on the ninth hole in one contest, frequent and free beverage cart stops! Raffle/auction includes a private Gulf Stream Fishing Trip for up to 6 people from Reel-em-N Charters! Tournament Sponsor $3,000: Official designation as 2011 Tee Off for Technology Sponsor, commemorative plaque in school’s media lab, 8 player spots, name and logo on all publications, the $100,000 hole/9th hole sponsor, name on front of t-shirt, automatic entrance into $100,00 hole-in-one contest. Platinum Sponsor $1,000: Four players’ fees, commemorative plaque in schools media lab, hole sponsorship, name on t-shirt, automatic entrance into $100,000 hole-in-one contest. Gold Sponsor $500: Two golf spots, hole sponsorship, commemorative plaque in school’s media lab, name on t-shirt, and automatic entrance into $100,000 hole in one contest. Silver Sponsor $250: One player spot, hole sponsorship, name on t-shirt, and automatic entrance into $100,000 hole in one contest. Hole Sponsor $100: Name on hole and name on t-shirt. We are also still looking for businesses to donate items to our golf tournament’s raffle or silent auction. Or go to www.chartersdaychool.org to find out more information about our tournament, and the school you will be supporting. If you have any questions please feel free to contact me. We will be accepting donations until the day prior to the tournament, March 23, 2011. Thank you for your consideration. Charter Day School Booster Club is a non-profit 501c3.